Senior Bureaucrat Vineet Joshi is appointed as the first Director-General of National Testing Agency on 30 March 2018. The Director-General will be assisted by 9 verticals, headed by academicians who are experts in their field. As per the Govt Press Release NTA will, "bring in high reliability, standardized difficulty level for assessing the aptitude, intelligence and problem-solving abilities of the students'. The HRD Minister Prakash Javadekar cleared that NTA will be the conducting body fo the various entrance examination and CBSE are relieved so that they could focus on board examination at secondary and senior secondary level. An amount of 25 crores is funded to starts the process for its maiden year and later it will be financially self-sustainable. NTA will initially conduct the entrances that are currently conducted by the CBSE. Some of these exams are NEET, JEE Main, and UGC NET. NTA will conduct the entrance exams that were conducted by the AICTE. These exams are CMAT and GPAT. National Testing agency will gradually take responsibility for conducting other entrances exams as well. National Testing Agency is proposed to conduct all the entrance exams twice a year in online mode. NTA will ensure to locate test centers at district as well as sub-district level. Moreover, going a step ahead for rural students, NTA will also undertake hands-on training to the students. National Testing Agency (NTA) is going to provide more than 3000 JEE Main practice test centres for the aspirants. It is decided by the Government of India that the NTA (National Testing Agency) will conduct JEE Main, NEET, UGC NET, CMAT, GPAT, and entrance exam for Navodaya Vidyalaya. As per the notification, NTA will be conducting some of the top national level exams. The details of such NTA Exams are mentioned in the table below. On 7 July 2018, MHRD minister Prakash Javadekar, at a press conference announced that National Testing Agency (NTA) will be conducting NEET, JEE Main, CMAT, GPAT and NET. He also notified that both JEE MAIN and NEET will be conducted twice in a year by NTA. On the request of the Ministry of Health and Family Welfare, another notification released on 21 August, stating that NEET will be conducted once in a year. The same exam pattern will be followed this year and the NEET exam will be conducted in Pen and paper-based mode. All the exams will be held in a computer-based mode only except NEET. There are no changes in all the exams regarding the syllabus, the number of questions, fees, and language. All the changes are made to uplift the standards of the examination. 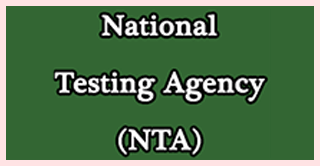 Why is National Testing Agency Formed? NTA is established with the aim is to bring in high reliability, standardized difficulty level for assessing the aptitude, intelligence and problem-solving abilities of the students. Human Resource Minister Javadekar said that NTA will take charge to conduct all entrance examination after its maiden session gradually and eventually this will remove the load from CBSE and AICTE. NTA will conduct higher education entrance exams which are conducted by CBSE and AICTE so far. As we know Central Board of Secondary Education (CBSE) is conducting more than 24 entrance examination across India. Since NTA has been approved by the Prime Minister, it will take charge of all the entrance examination gradually. The setting up of NTA was first announced in the budget session 2017-18 by the Finance Minister Arun Jaitley. Former Chairperson of CBSE, Vineet Joshi is appointed as the first Director General (DG) of National Testing Agency (NTA). Vineet Joshi will head the NTA which will be conducting national level entrance examination. NEET, JEE Main, UGC-NET, CMAT, and GPAT will now be held by NTA which was earlier conducted by CBSE, AICTE and other governed bodies. The Chief Executive Officer (CEO) of NTA will be DG as appointed by the government. Question: As a student, what should I know about National Testing Agency? Answer: As it is mentioned above, National Testing Agency will conduct national level entrance examinations such as - JEE Main, NEET, UGC-NET, CMAT and GPAT. The Ministry of Human Resource Development (MHRD) established NTA through a press conference on 7 July 2018. Question: Is there any official website for National Testing Agency? Answer: Yes. The official website of NTA is nta.ac.in. In case of any query regarding National Testing Agency, you can write to us in the comment section below.